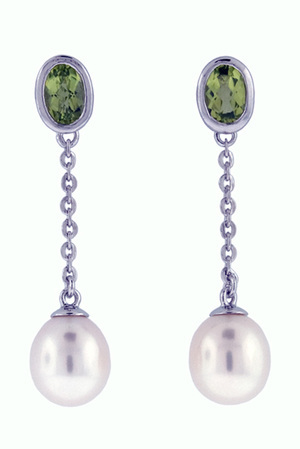 Vibrant bezel set oval peridot post earrings lead to lustrous pearl drops dangling from silver chain. These fun earrings have a lot of movement and are a modern classic. You can also have a matching pendant.